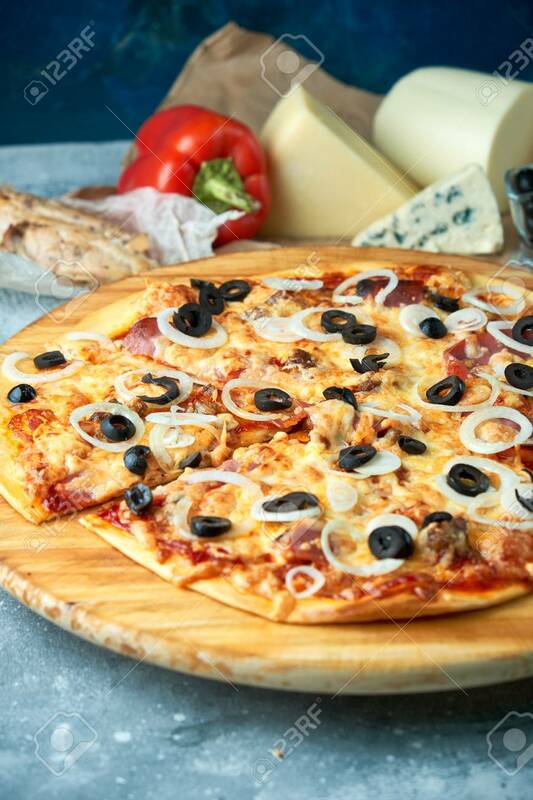 Slice Of Hot Pizza Large Cheese Lunch Or Dinner Crust Seafood Meat Topping Sauce. With Bell Pepper Vegetables Delicious Tasty Fast Food Italian Traditional On Wooden Board Table Classic In View Lizenzfreie Fotos, Bilder Und Stock Fotografie. Image 114399064.